Let’s consider three truths:1) Planning for one’s future is daunting at any age. None of us have a crystal ball. There are situations that will arise in the future that we can’t imagine in the present. We see either too many options or too few.2) We hold our independence dear. We want to make decisions for ourselves. We want to live where we want to live and spend our days doing what we want to do.3) Things will change for us as we age. Given these three truths, it is often easier to forgo planning and imagine things will take care of themselves. The great news is that there are practical tools, people, and resources to make planning easier; to help us make choices now so we can maintain our independence later and enable us to plan for the things that will inevitably change as we age. These tools and resources are very beneficial to our age-friendly community building work. Join us for our next webinar to learn about the tools, people, and resources available to help older folks in our community plan for their future. 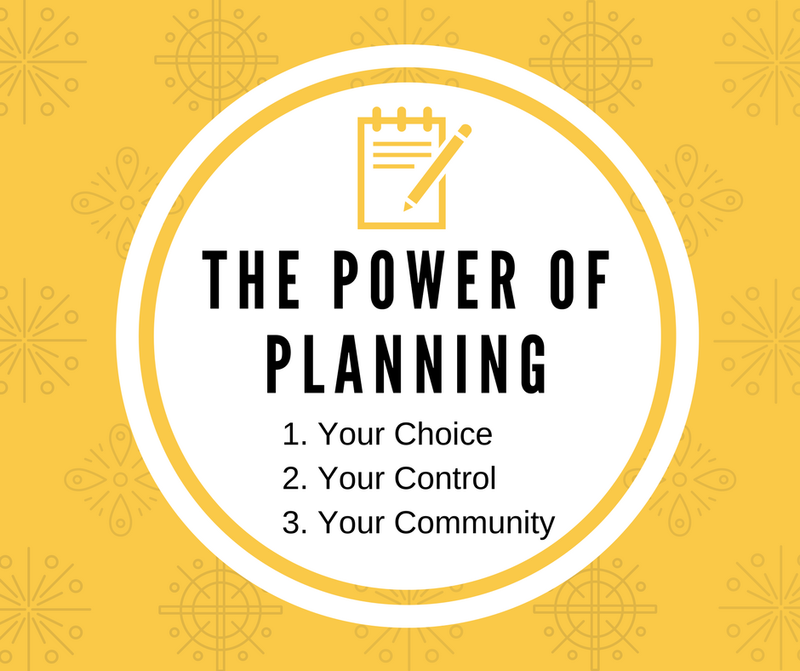 Maintaining choice, control and community can best be achieved through planning and we are excited to share resources to help.